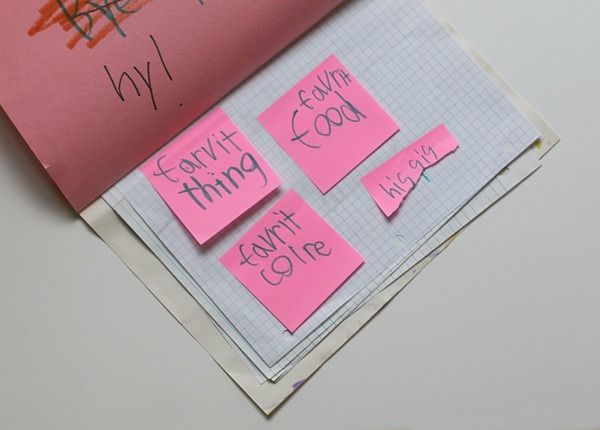 Here’s how to make a book for your brother or sister. You should make a book for your brother or sister on their birthday or just for fun. First, staple pieces of paper together you want to have. Next, just add some questions or coloring pages that you want your brother or sister to do. This is my first page of the book. 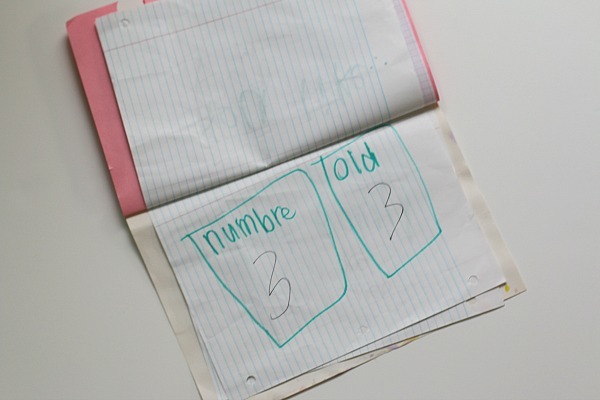 Next I did this picture about my brother’s favorite number and how old he is. Here is my last page. For this page Theo told me who was in his family. That is how you make a paper book. This entry was posted in Homemade Books on December 14, 2014 by Me and You Make Something Too. I love this idea. I can’t wait to try it out. Great idea, Lucy! How nice for Theo to have a smart and thoughtful big sister like you. What a darling idea!! I would like to make one for a friend of mine since I don’t have brothers or sisters. Thanks for the fun idea! Do u have any others? I love this idea! I think I will have Quinn do it with his little sisters tomorrow! Great idea Lucy. I’m going to make one for Luke. What an awesome job explaining how to make a book! Looks like a fun project for my son to try! Oh, what a wonderful book! I bet he loved it! My son loves making books with me. I think he’ll be really inspired by this. Do you have any others?? I would like to make one for a friend since I don’t have any brothers or sisters. Great idea, Lucy! I will follow your directions to make Mason a book. Thank you for posting a wonderful project to make! 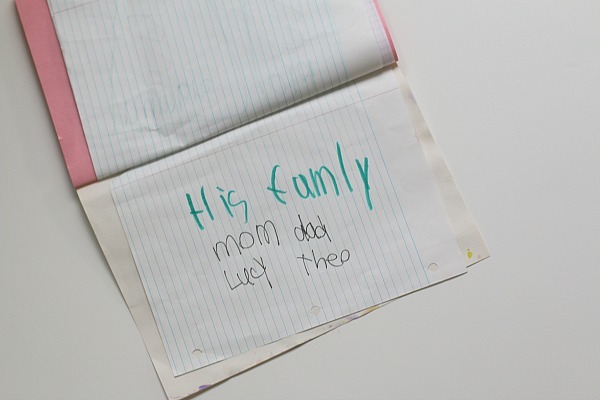 lucy…I love this very creative idea for your younger brother, Theo. You made him feel very special. A special way to show your love and teach him cool things. Thanks, Julia! I don’t usually use pink a lot. Thanks for saying that you like it. 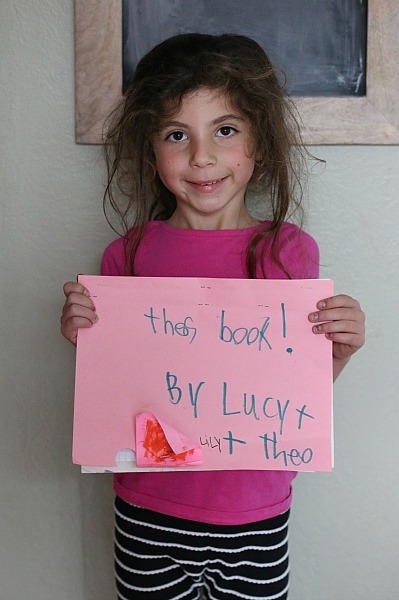 Great book, Lucy! I’m going to have Ella make one for Nico. Theo must love his book! I can’t wait till you can teach Bodhi how to make a book too. I might make one and I like your blog, but my baby is so little, he might tear the pages? So what should I do if he’s gonna tear the pages maybe? You can use cardboard for the outside, and you can just keep the pages to yourself and you can just show your baby the pictures on the cardboard pages. Draw things your baby likes on the cardboard pages.